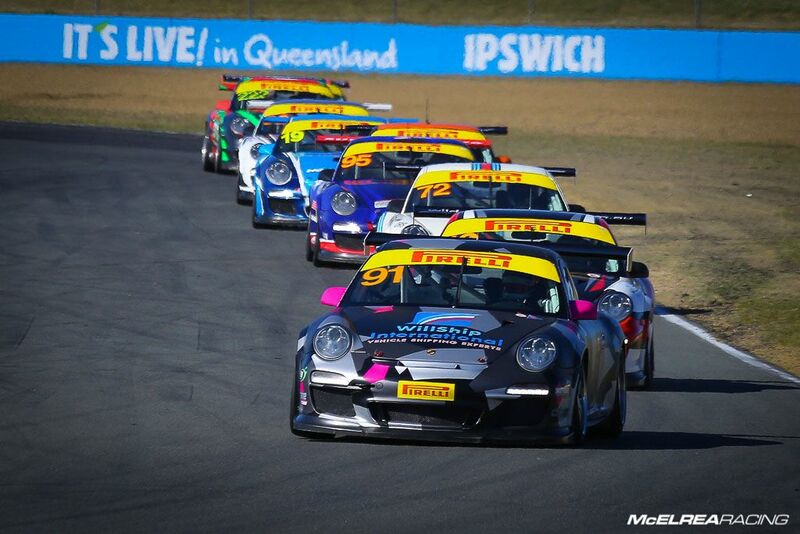 After a fairy tale round at Queensland Raceway last season where all four of our drivers were on the podium, the awesome MR crew were confident and looking forward to another great weekend as we were well prepared and all of our drivers were ready to rumble. There's also something nice about having the rare opportunity to sleep in your own bed on a race weekend, so we went into the weekend with high spirits. 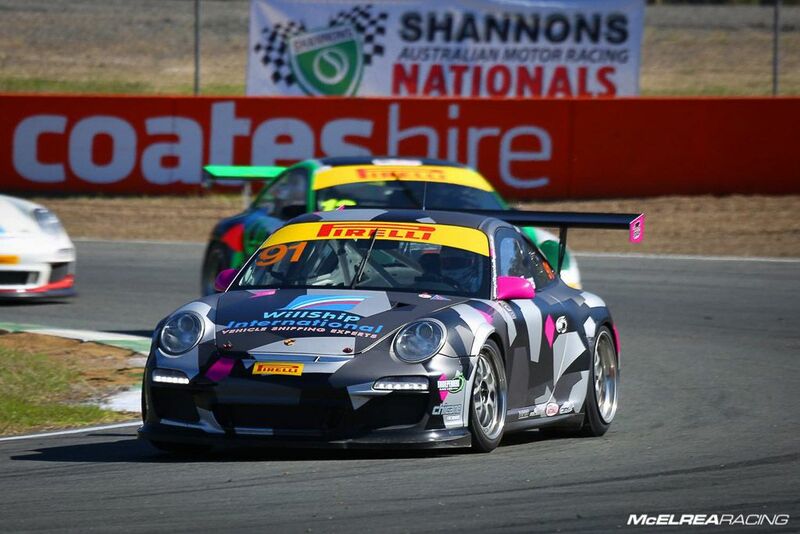 Jaxon did a great job to qualify on pole for the third and final race of the Jim Richards Endurance Championship. After a terrific start in the opening race he then gradually pulled away to commanding 5 second lead. 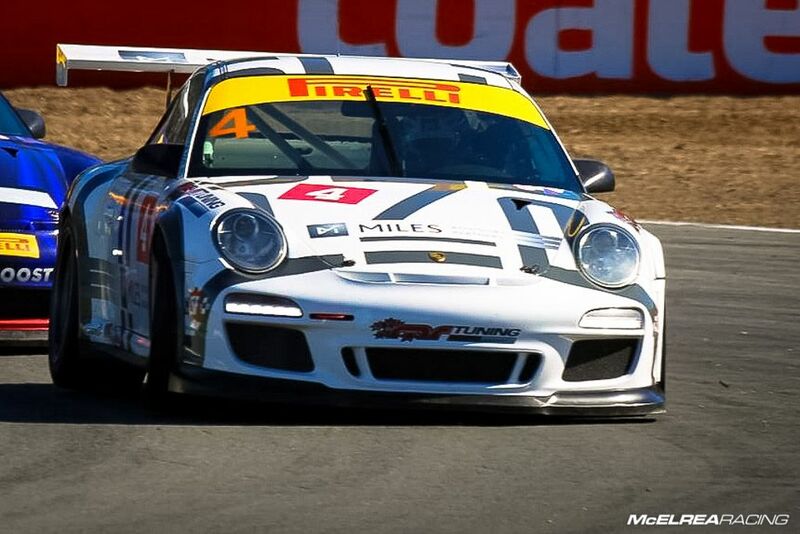 After safety car period with less than 10 laps to go he opened up another 1.4 second lead on the first lap to cruise to the victory and his first GT3 Cup Challenge 'Jim Richards Endurance' Championship. Jaxon got another good a good start in race 2 and was able to get a healthy gap to lead till the finish and in race 3 he sealed an outstanding weekend by capturing his third consecutive victory to totally dominate the category for the weekend. Jim qualified 5th (8th outright) after doing a personal best time of 1:12.5! In the opening 41-lap race he had a great first lap to get up to 6th and did a great job pushing hard without mistakes to take another two spots by the end of the race to finish 2nd in 'Elite'. In race 2 Jim had a good start from 5th on the grid. He had to withstand immense pressure from Shahin who also drove very well but was unable to get past our 'other Campbell'. Mind you, Luffy almost lost his voice on the radio! In race 3 Jim had an exciting run through the gravel trap at turn 3 on the opening lap one but was able to continue and win the 'Elite' round by a small margin over Anthony Gilbertson. Jake qualified 3rd and only half a second off his team-mate Jaxon which was an outstanding result considering he missed our recent QR test day. In race 1 he had a good dice with Tim for first couple of laps and pulled-off a demon pass around the outside at turn 4. Unfortunately the clutch started to slip a lap later and he had to retire from the race. In race 2 Jake did a great job to make smart but forceful passes and come from the rear through to a very well deserved third. In the final race of the weekend, he put in another fine performance to be even closer to Jaxon in lap time than he had been in qualifying with another 3rd, which he is definitely getting sick of! Tim started the weekend as well as possible, qualifying first in Elite class and 4th outright. In race 1, he had a good dice with Jake for a couple of laps until the youngster got by, then he gradually pulled clear of Shahin in what was a relatively quiet race for the win. Sunday was nowhere near as kind to Tim with a near new drive-shaft breaking while warming his tyres forcing a non-start in race 2. In race 3 a car stalled two rows ahead of Tim and when the car between them darted right at the last moment Tim had no time to react and his car piled into the back of the stalled car. A very unfair result after such a great start to the weekend. 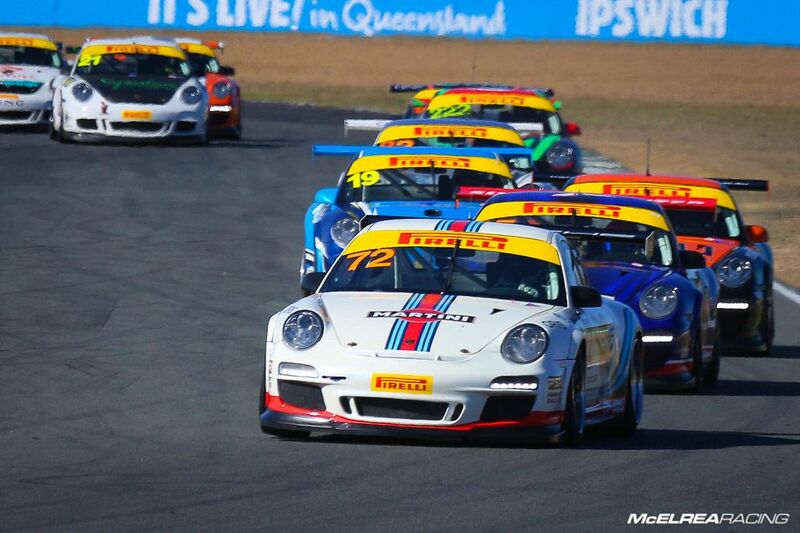 The team is rapt for Jaxon having the perfect weekend and winning the prestigious Jim Richards Endurance Championship. This is the second JRE Championship for MR after James Abela won it in 2015. 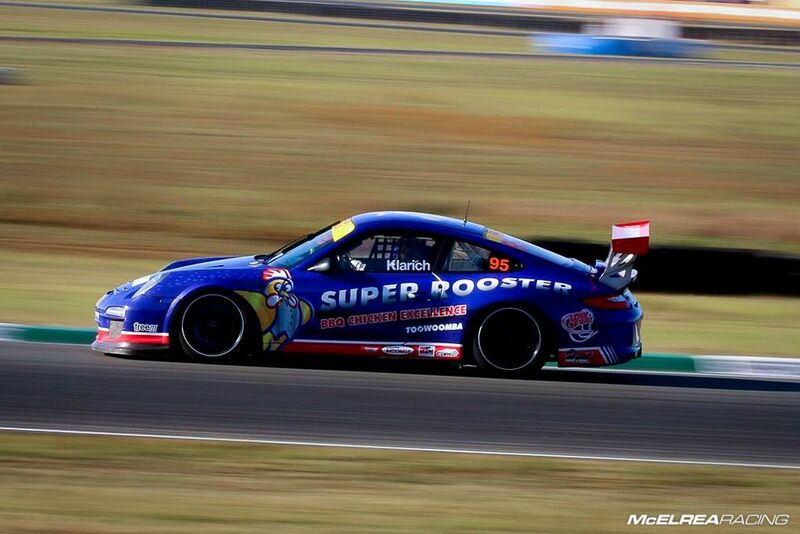 Jaxon also closed the gap in Pro championship points to Hardeman with only one round remaining at Phillip Island. It was also terrific for big Jim Campbell to have his second Elite class round win in only his second season of racing. Despite limited testing Jake has continued to close the gap on the Jaxon and is getting faster and more consistent every time out. Considering there was nothing Tim could have done different in either situation on Sunday this was cruel luck but fortunately he still holds the Championship lead heading to the final round at Phillip Island in September. Many thanks to Darin Mandy from Digital Realism and Matthew Paul from Matthew Paul for the great shots.